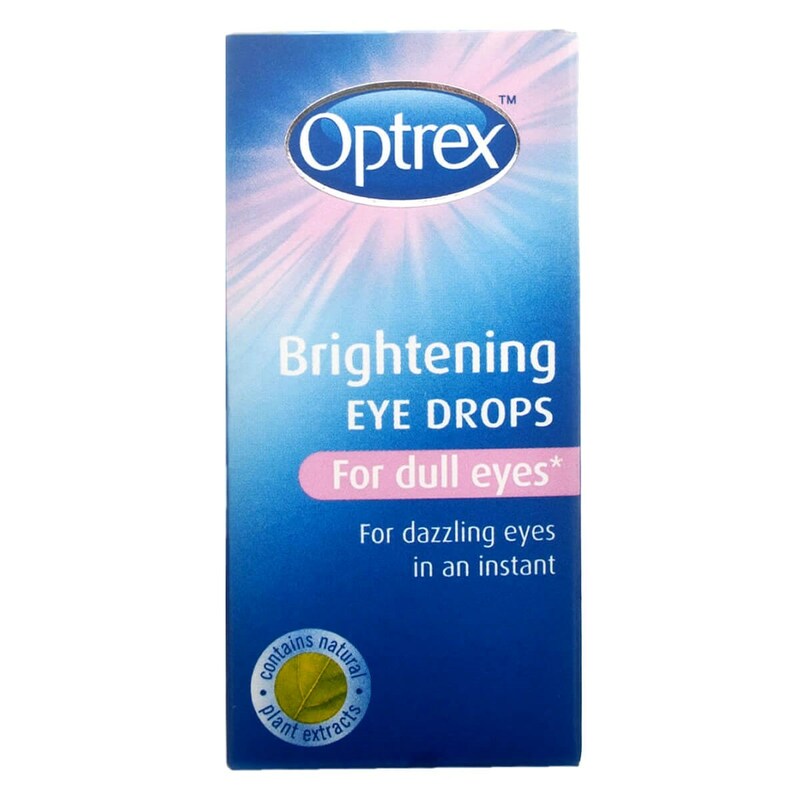 Optrex Brightening Eye Drops is enriched with natural plant extracts and it's gentle formula gently restore the natural brightness of your eyes and give you a clearer, healthier look. Purified Water, Alcohol, Boric Acid, Glycerin, Witch Hazel, Sodium Borate, Bezalkonium Chloride, Naphazoline Hydrochloride, Disodium EDTA.Optrex Eye Brightening Drops is not a medicine. Ensure your hands are clean and dry and the bottle’s seal is intact.Tilt your head backwards and gently squeeze 1 or 2 drops into each eye.You can use Optrex Eye Brightening Drops often, but not daily. Don’t use the drops more than 4 times in any 24-hour period.Don’t use Optrex Eye Brightening Drops while or just before wearing your contact lenses. Wait 15 minutes before wearing contact lenses. Thank you for your interest in Optrex Brightening Eye Drops. Enter your email and we'll contact you as soon as it's available again.